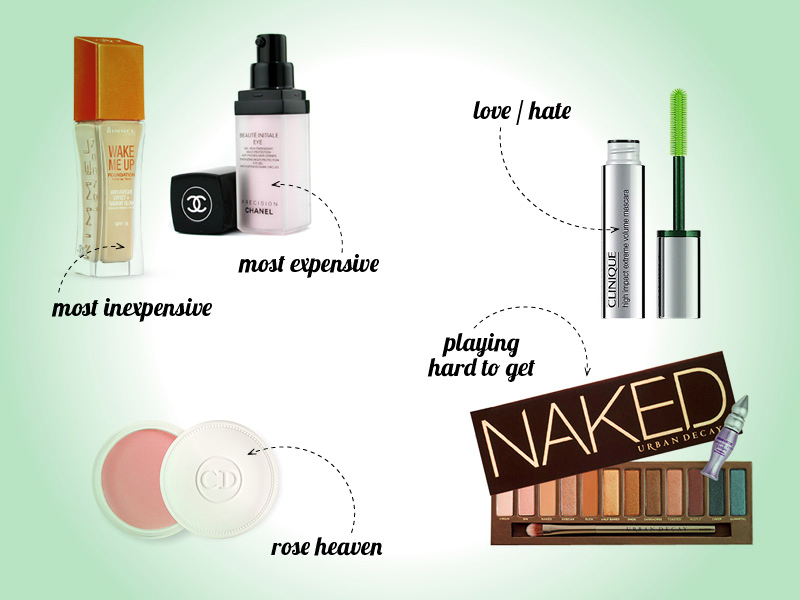 My most inexpensive beauty items are from Rimmel. 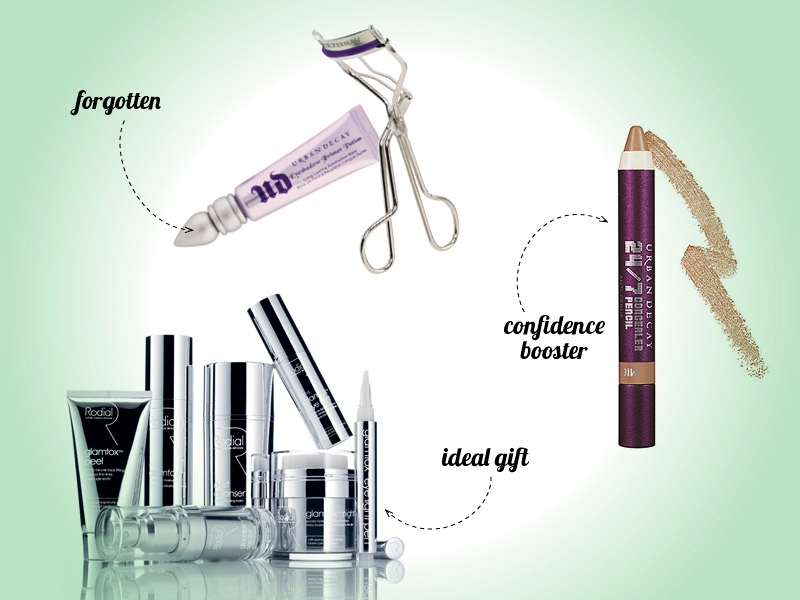 They have great budget buys, like the Wake Me Up Foundation or the Scandaleyes Waterproof Khol Kajal Eye Liners. I'm not sure what is my most expensive beauty item, besides fragrance, but I think it's the Chanel Beauté Initiale Eye gel. I've had a love/hate relationship with the Clinique High Impact Extreme Volume mascara. I loved it during the first couple of months, and after that period of time, I didn't like it as much. It became really gloopy — which isn't ideal for such tiny bristles — and had that weird smell that mascaras do, when they go bad. The product I had to haunt after, from shop to shop, was the Urban Decay Naked Palette, when it first came out. It was always sold out! I don't really like fruity or sweet scents in my beauty bits, but I really love rose scented products. So my answer is Dior Crème de Rose lip balm, since it's a lip product. Sometimes, when I'm in a hurry I forget to apply eye primer. And I usually don't curl my lashes — but they're not straight, so no worries! At first, I thought about mascara or lipstick, but no. It's concealer, of course! I couldn't step out the door without it, ever, so it definitely gives me the most self confidence. There's always that little odd question, isn't there? Well, I guess nice teeth. And brows. Oh, I'd love to get a whole lot of Rodial or Alpha-H products. Or all of the Burberry lip products.